Mr. Rosenbaum is the founder and director of the Harold Rosenbaum Choral Conducting Institute held annually at Columbia University in NYC, and the University at Buffalo, State University of New York. A tireless advocate for contemporary composers, and for American composers in particular, Mr. Rosenbaum has created an annual choral composition competition, commissioned 61 works, conducted over 475 world premieres (including works by Ravel [in Paris], Schoenberg, Schnittke, Carter, Henze, Berio, Perle, Harbison, Corigliano, Lang, Ran, Zwilich, Adamo, Ran, Musgrave, Bolcom, Danielpour, Thomas, Wyner, Tower, and Kernis), and recorded contemporary choral music on over thirty commercial CD’s for SONY Classical, Albany, CRI, Bridge, Koch International, Soundbrush, KASP, Capstone, MSR Classics, DRG, and Our Silent Canvas. Mr. Rosenbaum is Lead Choral Conductor for Parma Recordings and a Soundbrush Records Artist. 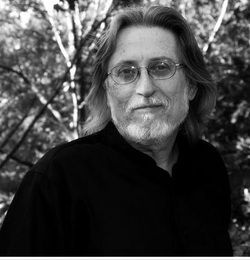 He is a three-time recipient of the ASCAP/Chorus America Award for Adventuresome Programming of Contemporary Music, and a recipient of Chorus America’s American Choral Works Performance Award. In recognition of his leadership in the interpretation and performance of contemporary music, G. Schirmer publishes the Harold Rosenbaum Choral Series, for which Mr. Rosenbaum composes, edits, and gives performance suggestions for conductors.To fulfill his dream of conducting the most complex and masterful choral compositions of the 20th and 21st centuries, in 1988 Mr. Rosenbaum established The New York Virtuoso Singers (http://nyvirtuoso.org/), a professional choir. Now in its 26th season, NYVS is regularly invited to perform with leading orchestras and at prestigious institutions such as The Tanglewood Music Festival and The Juilliard School for which Mr. Rosenbaum composes, edits, and advises conductors on performance. It has premiered close to 400 works by renowned contemporary composers such as Berio, Harbison, Henze, Andriessen, Ran, Perle, Krenek, Musgrave, Harvey, Pärt, and Imbrie. In 1973 Mr. Rosenbaum established The Canticum Novum Singers (www.canticumnovum.org), one of New York’s premiere volunteer choirs presenting music of all periods. In forty years CNS has performed over 500 concerts nationally and internationally. Of the 600+ singers who have sung with CNS, over 100 have become professional choristers, soloists, conductors and composers. CNS has premiered over sixty compositions, including those by Handel, J.C. Bach, Fauré, Bruckner, Harbison, Berio, Schnittke, Rorem, Schickele, and Benjamin. Mr. Rosenbaum is a much sought-after guest conductor, clinician, adjudicator, funding panelist, coach, lecturer, consultant, and educator. He has taught at four universities, including The Juilliard School. Currently he is an associate professor at the University at Buffalo/SUNY, where he directs the choirs, heads the graduate program in choral conducting, and teaches other courses. Fulfilling his lifelong passion to bring together choral singers from different backgrounds and skill levels, over the past 41 years Mr. Rosenbaum has founded The Canticum Novum Festival Choir, Westchester Oratorio Society, Long Island Jewish Choral Society, and Westchester Jewish Choral Society in addition to NYVS and CNS. As conductor of eight university choirs, seven church choirs, ten synagogue choirs, two youth choirs, and a senior adult choir, Mr. Rosenbaum has conducted close to 1,600 concerts with these choirs individually and in combination. Such collaborations include the Verdi Requiem at Carnegie Hall with seven choirs, and Haydn’s Creation with the Queens College Preparatory Choir, Transfiguration Lutheran Church Choir of Harlem, and Westchester Jewish Choral Society. For that concert Mr. Rosenbaum was awarded The Most Remarkable Ecumenical Achievement Award by The New York Times. Mr. Rosenbaum’s productivity is prodigious. During one season he was artistic director of eleven choirs. During another, he was a full-time professor at both the University at Buffalo and Queens College while conducting five non-university choirs. To celebrate The Canticum Novum Singers’ 25th season, Mr. Rosenbaum conducted twenty-five Bach cantatas, eleven in one day. During one 3‑1/2 week period, he conducted Verdi’s Requiem at Carnegie Hall, a three-hour world premiere at Avery Fisher Hall, Bach’s St. John Passion, and a concert of modern music with The New York Virtuoso Singers. At the Tanglewood Music Center, he conducted seven modern works in the afternoon and three more that evening in the “Prelude” concert for the Boston Symphony. Mr. Rosenbaum typically works on 15-20 current and future projects at once. One past project from 1999 stands out for its broad scope and ambition: a co-production with Merkin Concert Hall, with a grant from the National Endowment for the Arts, of “Voices of the Century,” a series of six concerts presenting 50 of the greatest a cappella pieces of the 20th century from 13 countries. Mr. Rosenbaum has collaborated with the renowned composers David Del Tredici, Stephen Schwartz, John Harbison, George Perle, William Schuman, Milton Babbitt, John Corigliano, John Adams, Mark Adamo, Osvaldo Golijov, Ned Rorem, Charles Wuorinen, Peter Schickele, Augusta Read Thomas, David Lang, Michael Gordon, Julia Wolfe, David Felder, George Tsontakis, Shulamit Ran, Andrew Imbrie, Tan Dunn, Earl Brown, and Tristan Keuris. He has worked with the venerable actors Tony Randall, F. Murray Abraham, Werner Klemperer and Michael York, celebrated stage directors Jonathan Miller and François Girard, and legendary film composer Ennio Morricone in concerts with The Roma Sinfonietta in the General Assembly of the United Nations and at Radio City. Throughout Europe Mr. Rosenbaum has conducted close to 100 concerts, working with the Budapest Symphony Orchestra, L’Orchestre d’Europe, the New Prague Collegium, Dohnanyi Budafok Orchestra, the Madeira Bach Festival Orchestra, and choirs from the USA and France. International festival appearances include The Ludlow Festival and the Cheltenham Fringe Festival in England, The Madeira Bach Festival in Portugal, and The Siracusa Festival in Italy. In this country Mr. Rosenbaum has collaborated over 100 times with leading orchestras such as The New York Philharmonic with James Conlon, The Brooklyn Philharmonic (59 times) with Robert Spano, Lukas Foss, Dennis Russell Davies, Michael Christie, and Grant Llewellyn, The American Symphony Orchestra with Leon Botstein, The American Composers Orchestra with Steven Sloane, The Riverside Symphony with George Rothman, The Orchestra of St. Luke’s with Sir Charles Mackerras and Robert Spano, plus The Juilliard Orchestra, Concerto Köln, The Bard Festival Orchestra, and The Westchester Symphony Orchestra. Beyond the orchestra-choir paradigm, Mr. Rosenbaum has collaborated with The Paul Taylor Dance Company, Continuum, P.D.Q. Bach (in Carnegie Hall and Avery Fisher Hall), The Mark Morris Dance Group, Bang on a Can, The Glyndebourne Opera Company, S.E.M. Ensemble, Da Capo Chamber Players, The New York Youth Symphony, and The Bel Canto Opera Company. Mr. Rosenbaum’s choirs have performed many times on Lincoln Center’s Great Performers Series, and in concerts with James Galway, Tony Bennett, Licia Albanese, Marianne Faithful, Leonard Slatkin, and The Lincoln Center Chamber Music Society. He has appeared countless times on radio and TV, including an appearance on The David Letterman Show on Millennium New Year’s Eve, and a national broadcast of an episode of CBS TV’s 48 Hours replayed every Christmas season entitled The Mystery of the Nativity. Mr. Rosenbaum’s affiliations are not easily classified, except to say that many are world-class performers performing worldwide. Mr. Rosenbaum is Artistic Director of The Society for Universal Sacred Music (www.universalsacredmusic.org), an organization which fosters the development and performance of universal sacred music through workshops, concerts and festivals. In June of 2012 the Society’s resident choir, The New York Virtuoso Singers, toured Denmark and Sweden. In the summer of 2010 Mr. Rosenbaum conducted Mozart’s Requiem in Israel in a festival sponsored by the Varna Music Academy. At The Juilliard School of Music in the fall of 2010, Mr. Rosenbaum conducted choral music of William Schuman, founder of that school, with The New York Virtuoso Singers. In the spring of 2013 Mr. Rosenbaum returned to Juilliard to conduct a vocal ensemble at the memorial concert for Elliott Carter. In 2012 he conducted Verdi’s Requiem in Italy. Mr. Rosenbaum is organist and choir director at St. Luke’s Episcopal Church in Katonah, NY. In 2011 he was awarded an honorary doctorate from Queens College, his alma mater. Mr. Rosenbaum resides in upper Westchester County with his wife, Edie. They have two daughters and three grandsons.